Anytime I can learn something while being entertained, it is truly a bonus. Brenda Ledford, writing under the pen name Lorraine Tate, has published two books of romantic historical fiction. These books are part of a trilogy, set in the time of the American Civil War. Reading these novels brought to life the devastation, the hope and perseverance our ancestors lived through during that time in history. It also made me appreciate more clearly things like electricity, running water and having ample food readily available. I can’t wait to read the final novel to see how the love story of Faith and Jonathan evolves. Working with Brenda on Love Among Enemies was creative collaboration at its best. One of the elements she wanted to use on the book cover was a Rose of Sharon quilt which is referenced in the novel. She also wanted to incorporate a rifle from that time in history. I used lo-res stock images to create a design that Brenda approved, but we didn’t have access to high resolution images and the quilt design I found wasn’t ideal. Sometimes a custom photo is the best solution. Brenda sewed a quilt section using the Rose of Sharon pattern she wanted. She borrowed an antique rifle that would have been typical of those used during the Civil War. I was shocked at the length and weight of that rifle. It made me appreciate the physical strength of the men and women during that time to not only carry that heavy rifle for miles of military marches, but also to be able lift and shoot it with accuracy. Marti Griffin, a friend and extraordinary professional photographer, shot the photo while I had fun art directing. Luckily, Marti also knew how to make fake blood! We shot all of the elements separately and I combined them in Photoshop to create the book cover. 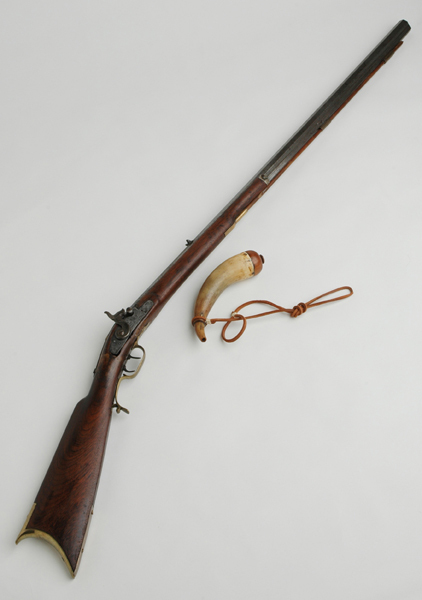 Here is a photo of that cool rifle with the antique bone powder horn. 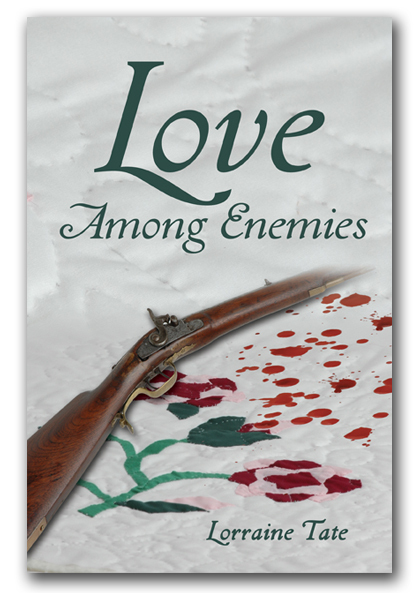 This is what Brenda said about working with me on Love Among Enemies which included designing her book cover and formatting the book interior: “It has been great working with Vanessa. She’s a wonder of information and talent when it comes to proof reading, book layouts, cover design, printing, promo ideas and more. I love working with her. Best of all, she’s a delightful person, organized, fast and a lady of her word. 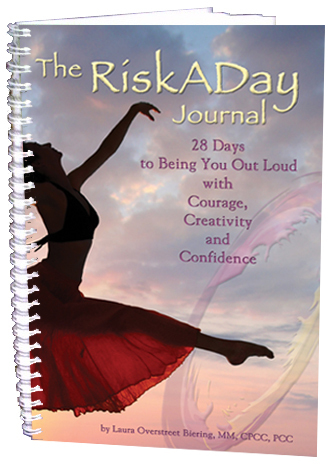 You can purchase Brenda’s books on Amazon. Going Home is the first of the series and Love Among Enemies is next. The final book of the series, Blood in the Coosa, is anticipated for release in 2011.